Home » Blog » Madison, WI Becomes the 1st Fair Trade State Capital! Madison, WI Becomes the 1st Fair Trade State Capital! Student Organizers from WISPIRG celebrate their success! One of the most progressive cities in the country, Madison, WI is now the 16th Fair Trade City in the U.S. and the first state capital to achieve this status. Madison’s Fair Trade Town campaign is also the first to be spearheaded by a student organization, which is the Fair Trade campaign of the Wisconsin Student Project Interest Research Group (WISPIRG) on the University of Wisconsin-Madison campus. WISPIRG’s Fair Trade campaign has worked toward this goal for over two years and ultimately succeeded in bringing together community members to make this happen. The campaign built strong relationships with Madison city council members, which led to the approval of the Madison Fair Trade resolution on April 13, 2010. 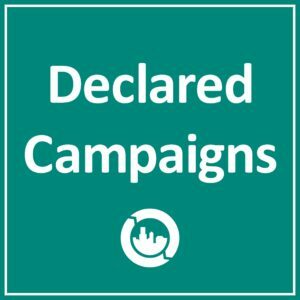 The campaign was launched in Fall 2008 as an attempt to increase awareness of Fair Trade on the UW-Madison campus and begin steps towards making Madison a Fair Trade City. Throughout the first year, WISPIRG’s Fair Trade Campaign held educational events for the Madison community and university students with over 800 people total in attendance. The second year of the campaign was geared primarily towards working on making Madison a Fair Trade City. In the Fall of 2009, we began three main initiatives. First, we worked to begin building a steering committee of Fair Trade groups and businesses in the Madison community. Second, we continued to increase grassroots support of the movement. We did this through tabling events, in which we offered free sample of Fair Trade coffee and tea along with informational handouts about Fair Trade and where to buy Fair Trade in Madison. Third, we began building relationships with city council members to work towards passing a Fair Trade resolution in Madison’s Common Council. All three initiatives were continued throughout the Fall semester of 2009 and Spring semester of 2010. Over this time, we also met continuously with food service directors on the UW-Madison campus to increase Fair Trade product availability for students. The Steering Committee, the Madison Fair Trade Coalition (MFTC), is composed of eight participatory organizations and businesses that are strong advocates of Fair Trade in Madison. They are SERRV International, CALA (Community Action on Latin America), Terra Experience, Family Farm Defenders, TerraSource Chocolates, A Room of One’s Own, and WISPIRG’s Fair Trade Campaign. Since its inception, the MFTC has focused on passing the Fair Trade resolution, as well as promoting Fair Trade in Madison through educational handouts and promoting Fair Trade businesses, organizations, and events in Madison. The MFTC is currently working on creating a comprehensive Fair Trade directory of vendors and organizations in Madison and is planning events for World Fair Trade Day. We hope to expand the MFTC over the next year to include more representatives from different sectors of the community. A large number of stores in Madison carry Fair Trade products, and the campaign has over 20 business endorsements. WISPIRG’s Fair Trade Campaign was also successful in getting Fair Trade snacks in the University’s student union and will continue to push for more Fair Trade products on campus. 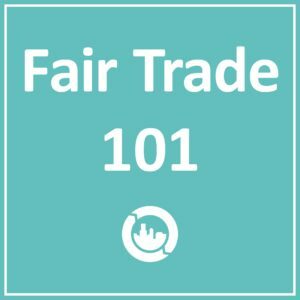 The campaign is looking forward to enacting a city ordinance to enforce the use of and regulate Fair Trade in Madison, as well as working towards making the University of Wisconsin-Madison a Fair Trade University.